There is nothing more darling and priceless to me than a piece of jewellery, especially one that can be treasured and kept forever. 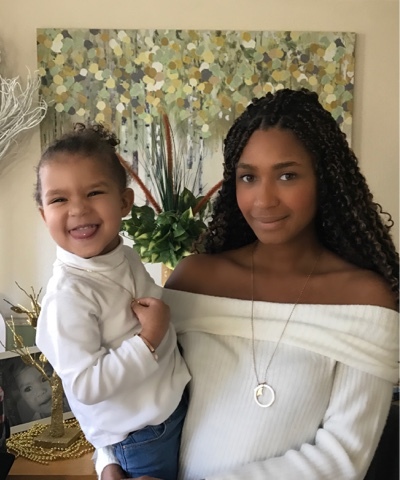 We were contacted by the lovelies from the French brand Merci Maman which translates to in English 'Thank you Mummy' after I had the pleasure of meeting their founder Beatrice at the #ColourSaturday Not On The High Street press event a few weeks back. 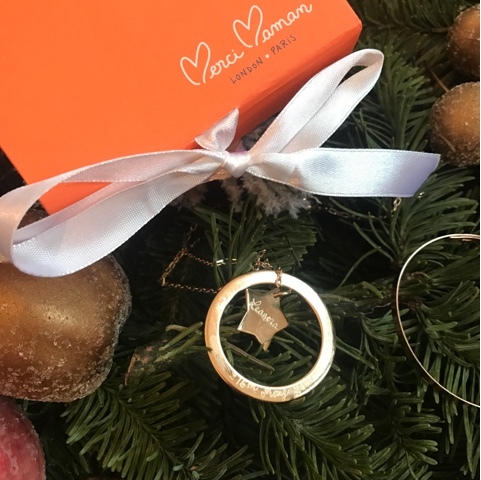 Merci Maman is worn by men, women, girls and boys all over the world and loved by all even royalty too. The Duchess of Cambridge wears a Merci Maman necklace engraved with Prince George’s name! Merck Maman was created in 2007, whilst Beatrice a French Mumma who resides in London with her partner, in her kitchen! I think it is fair to say that's where all our best ideas come from, time being spent in the kitchen, that's where I got the name for my blog London Mumma all whilst washing up! Each piece of jewellery is hand engraved with a personal message to that special someone. For me, I choose the Eternity Star Necklace, with Leanora's name on the star inside and date of birth on the outer circle. For Leanora I choose something that meant something to her and I! 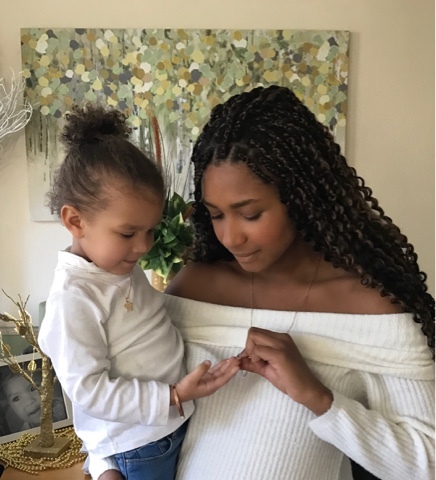 We are always singing 'zoom zoom zoom, we are going to the moon' and with this Personalised Charm Star Necklace engraved with a loving message of how much I loved her and keeping in theme to my own, I know it is something she would love and cherish forever. When I first meet Beatrice she had already given me a little something, that you may have remembered me posting on Instagram, which I was actually saving for L for her Christmas present, but she was poorly last week so decided to cheer her up and give her this rose gold personalised bracelet. I am thrilled to be working alongside Merci Maman, I take it very seriously my role as an ambassador for brands, Leanora to the little minx. What drew me to Merci Maman, their ethos for work, the craftsmanship and the sheer beauty of their creations, but the main factor that the drive that Beatrice has, to create such a beauty and all the while being a Mumma, for me that it is total mum boss goals. 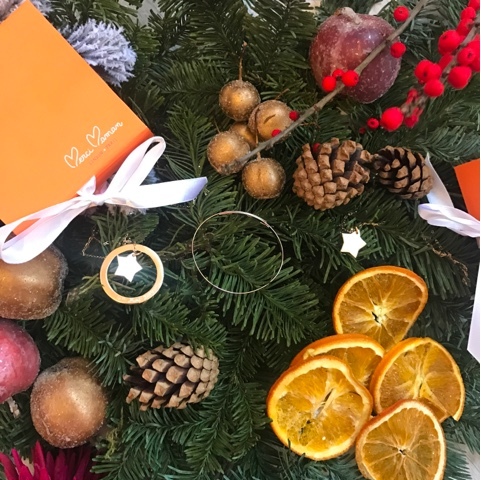 Each item is beautifully packaged in orange gift box revealing the necklaces, bracelets, rings and accessories are now being given to loved ones all over the world, as well as darling photo inside showing the best of Parisian and London beauty. Do you have any jewellery or embroidered homewards from Merci Maman? What are your favourite pieces?